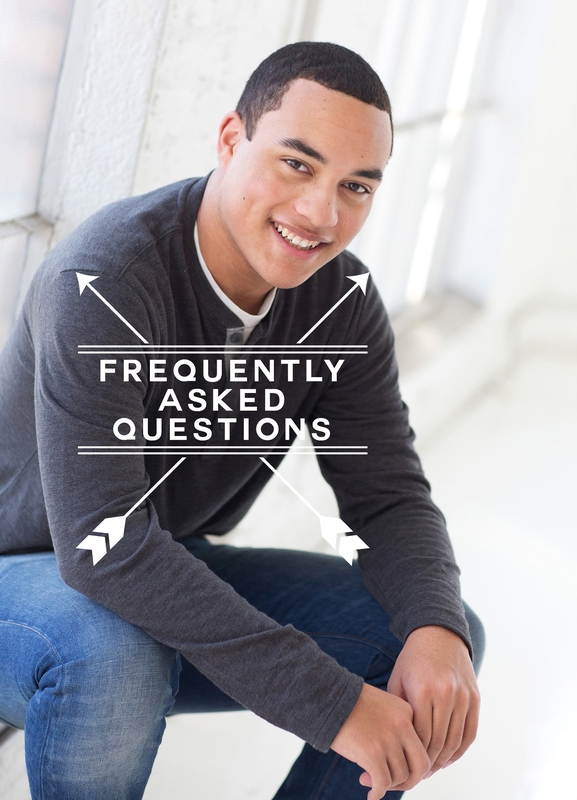 Q: When should I schedule my high school senior photo shoot? Q: How long will my senior photo shoot last? A: While some seniors (cough cough BOYS) may want to be as quick as possible, others may want a longer experience with clothing changes. If you fall into the former category, we can get some amazing closeups for senior announcements and yearbook as well as some casual/special interest portraits in as little as 30-45 min. If you would prefer, we are happy to take it slow and allow for clothing change. A Traditional Session with clothing change generally takes about 90 min. A Storyteller Session can be as long as 2.5 hours. That said, our session pricing is not based on time, but rather, final images shown. We will shoot until we get what we need. A: We have many favorite locations in the Denver and St Louis metro areas. From urban to farm to mountain to field to studio. Or even your high school sports field, depending on time of year. Q: Can I bring my own props or pets? A: The short answer is yes. Your high school senior photo shoot is probably the one time in your life where the photo session is truly ALL about YOU! We want you to bring what is important to you. Whether that's a musical instrument, a special pet, sports memorabilia or your dream car. If you have more elaborate prop ideas or non-traditional pets that you'd like to use, we can chat about it prior to the session. I may have location suggestions that would work better for different ideas. I DO have experience with equine sessions, if that's your thing. Q: How long before I see my photos? A: Our turnaround time is about 3 weeks. You will receive an online gallery of watermarked images to look through to make purchasing decisions. You will have 7 days to complete your purchasing decisions. You may share your password with out of state family or friends as well. Q: Do I get all the digitals? Q: How much should we plan on investing? A: We never want our pricing to be a secret up front or an "after the session surprise". Our complete pricing information can be found on the "pricing" tab above. As a general guideline, you should plan to invest $900-3500+ on prints, products and digital negatives, depending on your exact needs. Q: What should I do when I'm ready to book? A: You can contact us via the contact tab or directly at laura@laura-siebert.com. We are usually booking a min of 4 weeks out.